Many vehicles will experience oil loss at some point. Usually it is through small drips and minor leaks that can be prevented, but in some cases oil leaks require immediate attention from an ASE-Certified Technician. An improperly sealed drain bolt is the most common cause of leaks. When having an oil change in Greensboro performed, your oil pan is first drained. The drain is resealed, usually with a new washer around the drain bolt. Cheap oil change services may not include a new washer, which can potentially result in new leaks emerging after the change. If a leak appears after the change and continues after a day or two of normal driving, you may need a new washer. Small oil leaks are also common in older cars. Often the seals wear or are misshapen due to the mechanical movements and drastic changes in temperature that are common with a combustion engine. While replacing the seals may not be economical, it is very important to check oil levels frequently. In the worst scenario, oil loss may be sudden and dramatic. Many vehicles have warning lights that indicate a loss of oil pressure. In this case, it is imperative that the vehicle is stopped and turned off immediately. Friction from oil loss will destroy internal engine components and may ruin the engine completely. Abnormal oil loss without any prior indication such as oil stains or an oily engine may indicate a much deeper problem. It might be an indication that the vehicle is burning oil. Oil may seep past the pistons and into the combustion chamber or it may leak through a broken head gasket. These are both very serious problems that may result in a loss of power and reduced fuel efficiency. If you think you might be losing oil, bring your vehicle in to Foreign Accents at your earliest convenience and we can assess the issue and determine the best solution for fixing it. 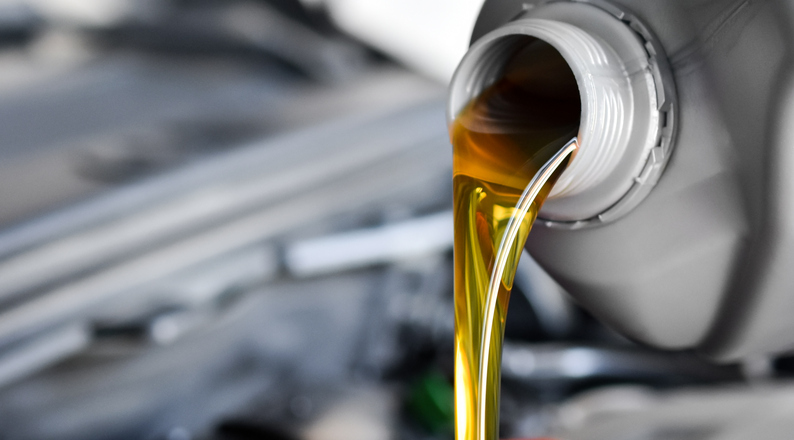 A well-sealed oil system is crucial to keeping your vehicle on the road – call us at (336) 294-2137 if you have any questions or concerns about yours! There’s some sort of oil like thing just above my car battery. any idea ? Import and Domestic automotive service and repair serving Greensboro, NC since 1974. We're here to help you maintain and repair your cars, trucks, and vehicles with trustworthy and reliable service.